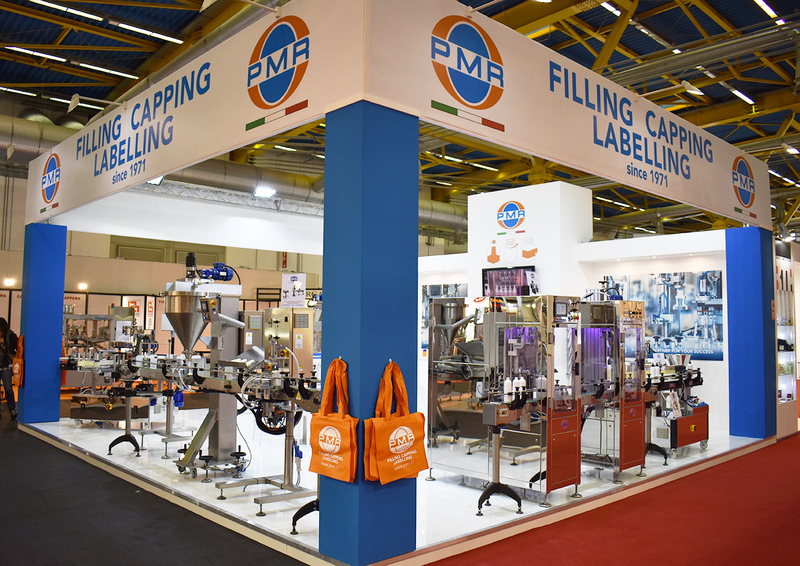 PMR » News & Events » Events & Fairs » National » PMR at Cosmopack 2018: when improvement becomes innovation. 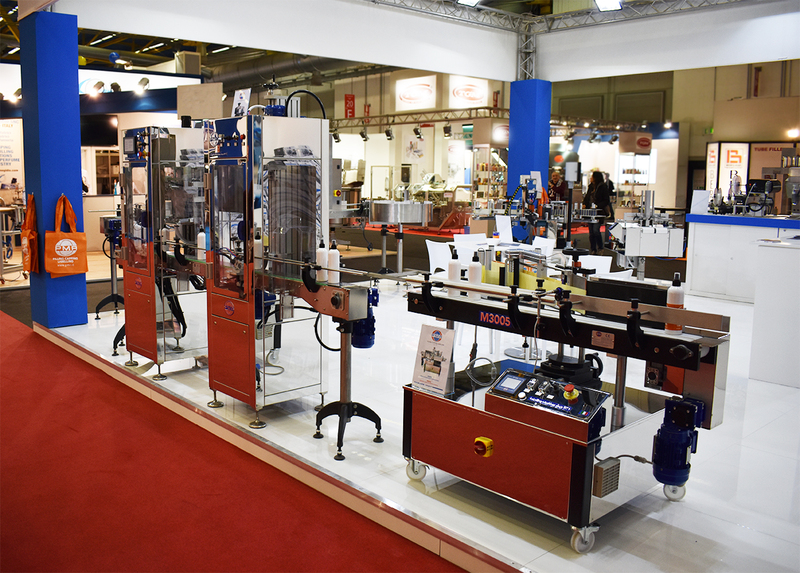 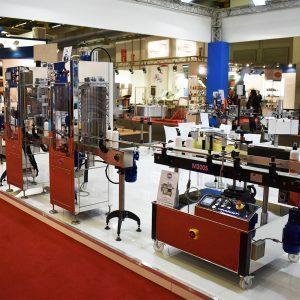 The latest edition of the Bologna exhibition dedicated to the cosmetic production chain, which ended on March the 18th, confirmed the continuing interest of the market in our products. 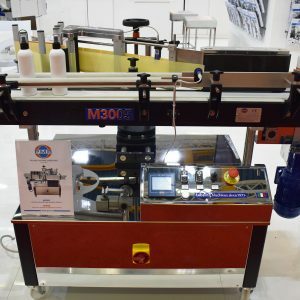 The boost of our company to improvement and quality, as well as making us reach the best standards, is leading us to an innovative and certainly high performance system of our solutions. 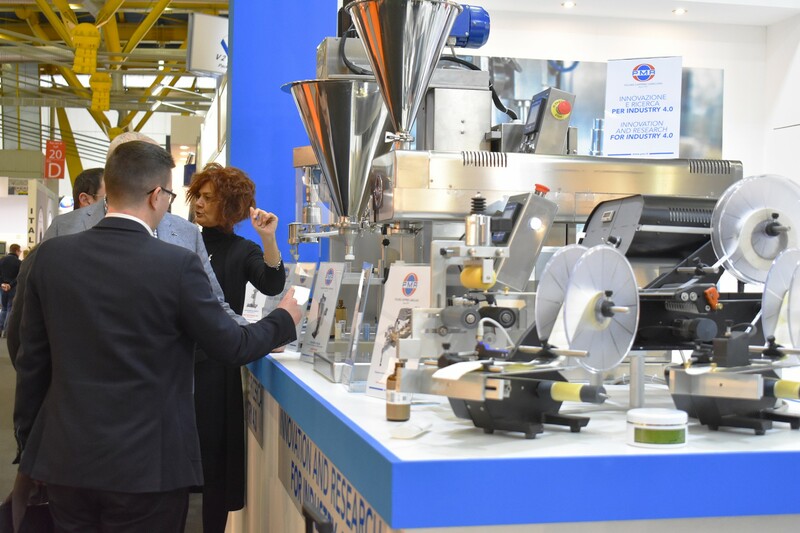 Many requests from France and Spain, as well as from a large pool of Italian companies; several tailor-made solutions for their products have also been requested by Germany, Greece, Poland, Russia, Egypt, and even United States and Australia have not been missing. 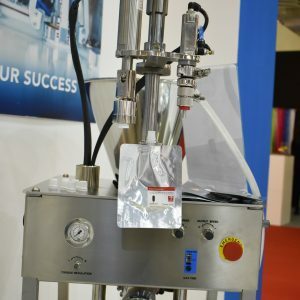 The novelty this year was the filling and capping solution for Doypack type flexible bags. 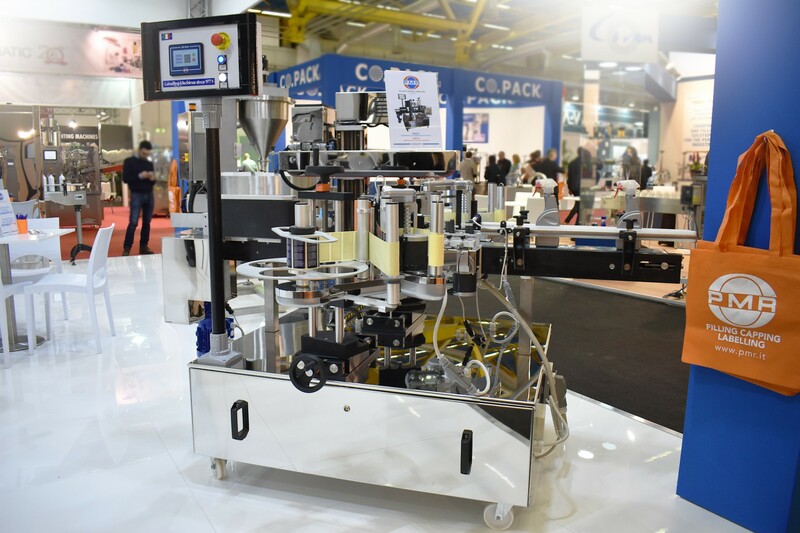 This semi-automatic machine, pneumatically acted, responds to a need in strong increase: the packaging of liquid, creamy and viscous products in flexible pouches with an existing spout. 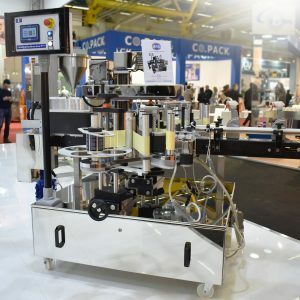 Obviously in our booth a number of our labelling solutions could not be missing: M3010, for front and back application, M3005 for application on cylindrical products, our Overprinting Group and our table-top solutions as D100 (to help the manual application of labels) and D160 for round products (the automatic dispenser for cylindrical products). 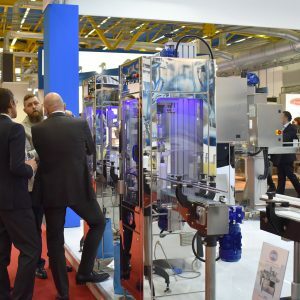 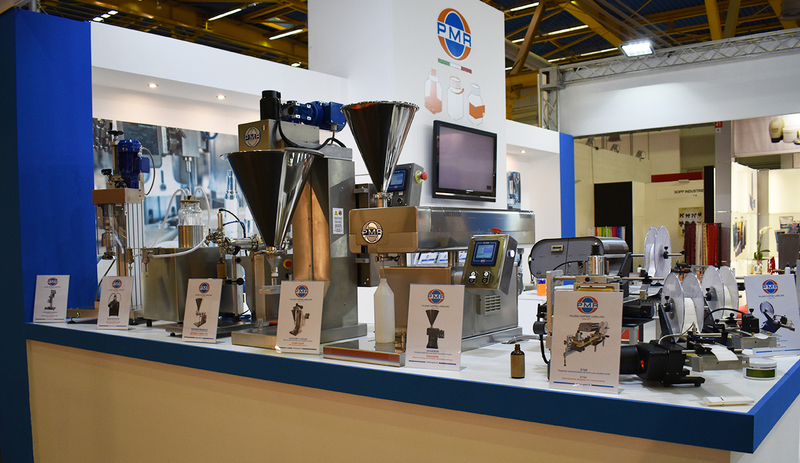 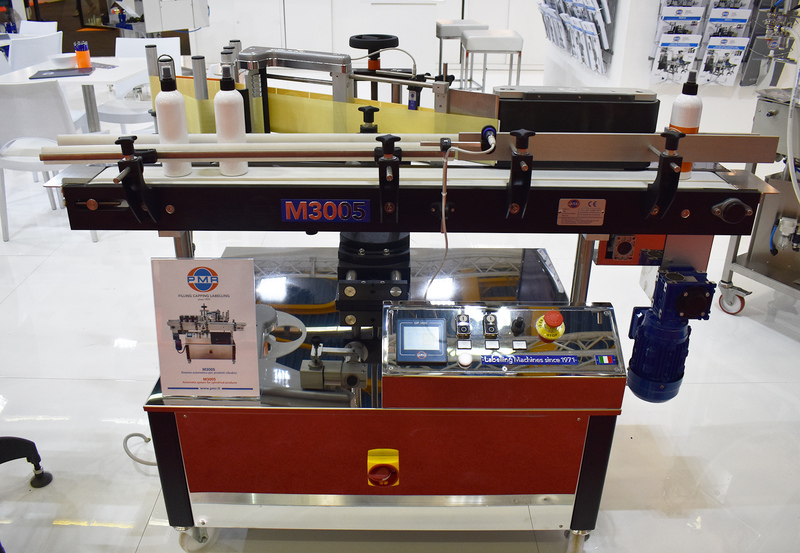 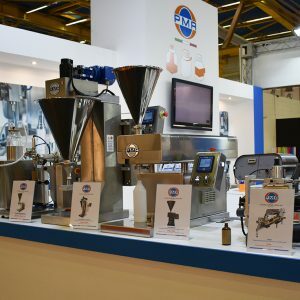 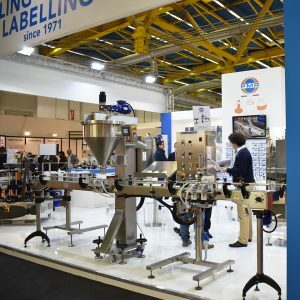 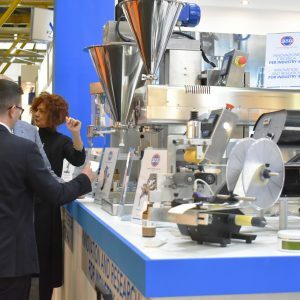 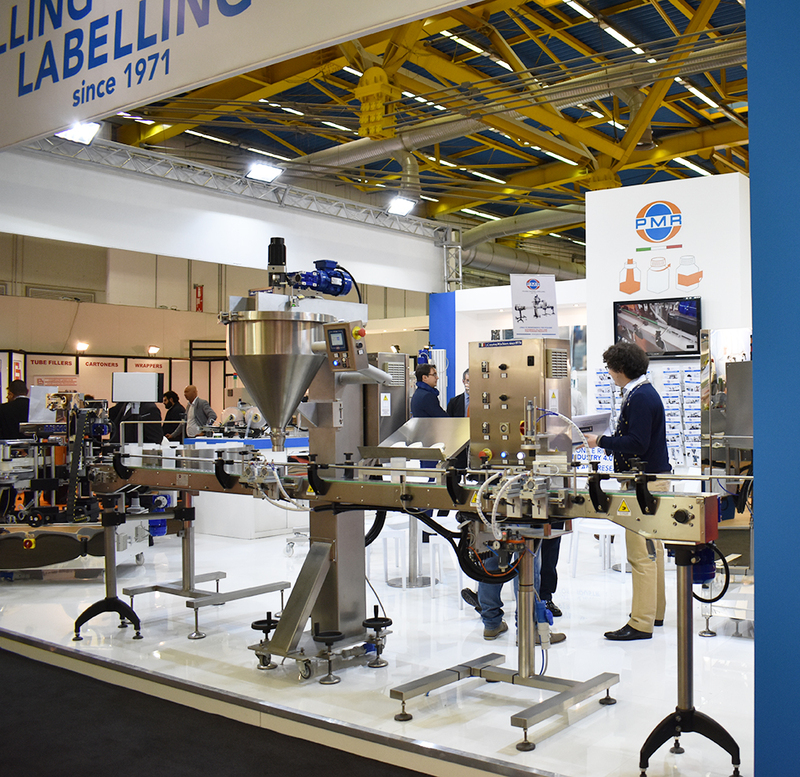 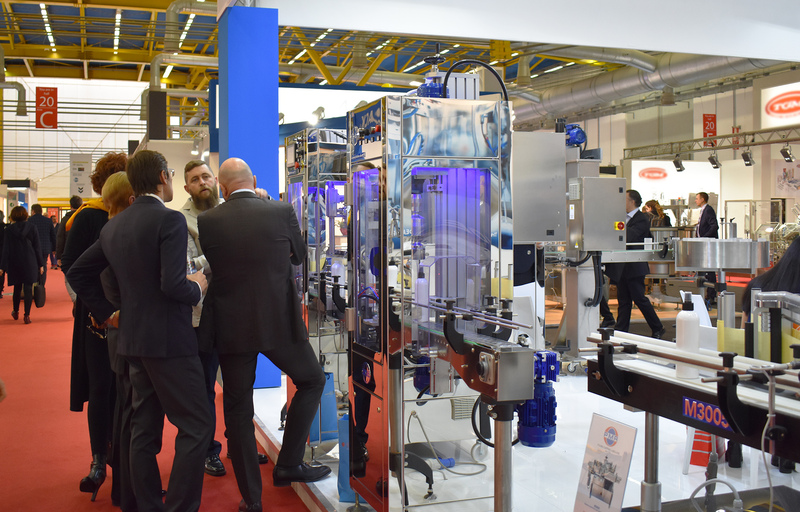 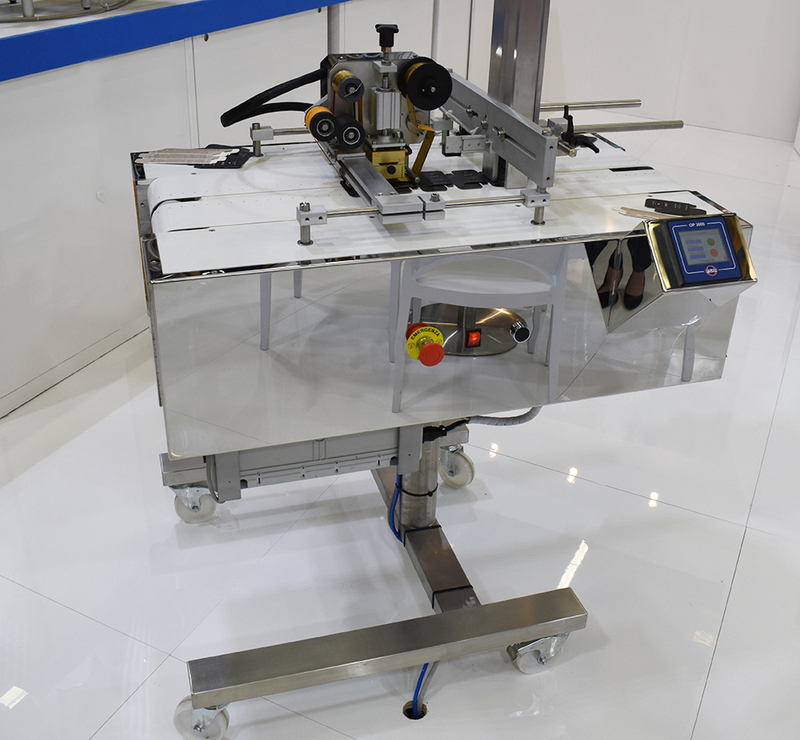 We have also exhibited a filling and capping line for liquid / creamy products and a powder filling line. 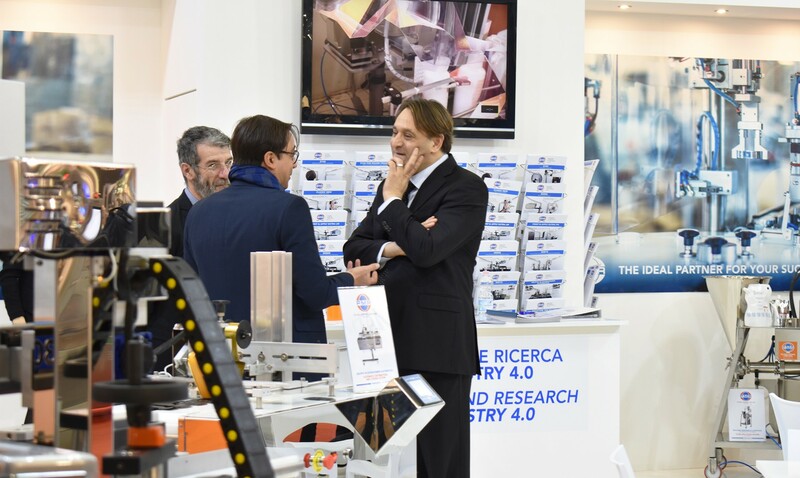 Both solutions have attracted a lot of our customers who understood and appreciated their potential, particularly considering the innovations we have developed for Industry 4.0. 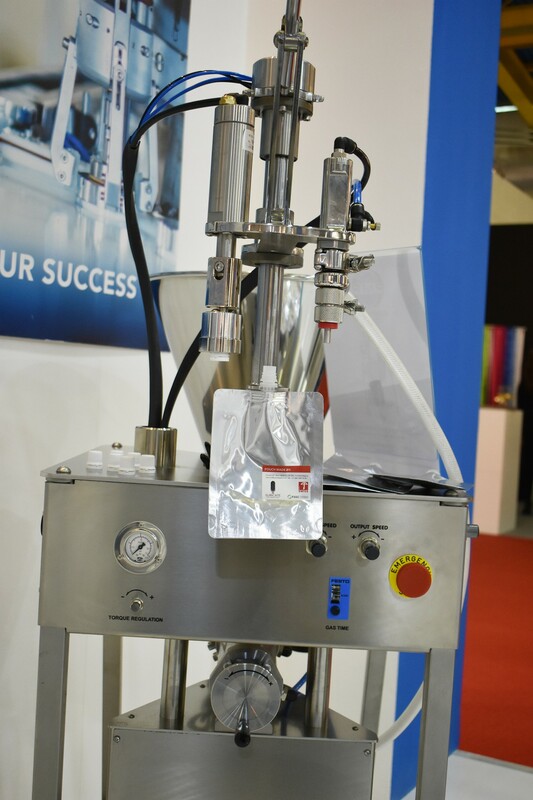 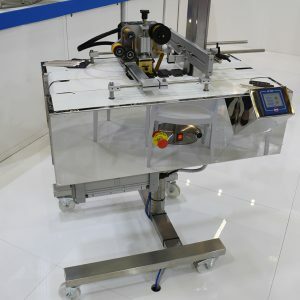 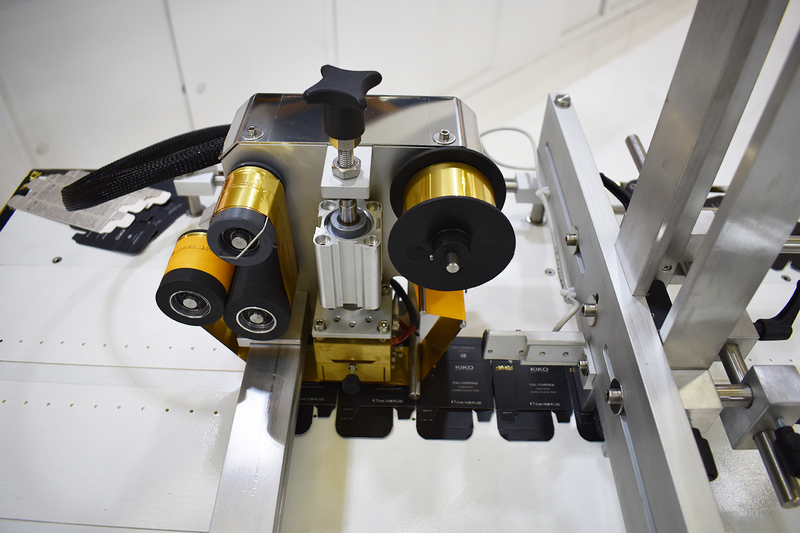 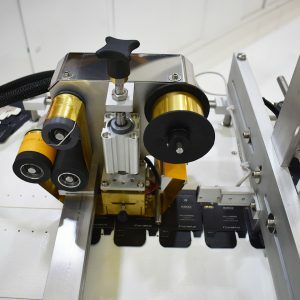 Due to their small size and great versatility, all our table-top devices such as the Perfume Dosing Machine, the P1 Pneumatic Dosing Machine, the Dosatron and the Table-Top Capping Device, represent a strong attraction for all those companies which are in need to optimize their production avoiding too expensive investments. 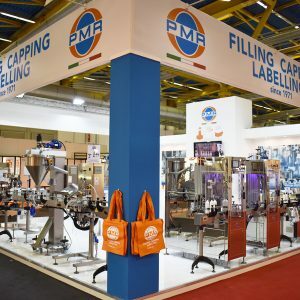 It is certain that PMR will continue to support its commitment and investment in research and innovation, sure to meet and constantly satisfy the needs of our customers and of their products.